Interested in Buying a Condo? Be sure to ask the right questions! So you’re looking to buy a home and you’ve come across a place you really like, but it’s a condo. Does this matter? And what should you know? A condominium, or condo, is a building (or complex of buildings) containing a number of individually owned apartments (or units). In New Jersey, condominiums are governed by the state law contained in N.J.S.A. § 46:8B-1 et seq., which is known as the “Condominium Act.” When you purchase a condo, you are purchasing that unit and also a partial ownership in common elements, or common property, of the condominium building. For example, these common elements may include sidewalks, parking lots, entrance lobbies, pools, and exercise rooms. This partial ownership of the common elements is one of the biggest differences between purchasing a traditional home versus a condominium. When purchasing a condo, you need to pay special attention to not only the sales contract language but also the condominium’s organizational documents. Of particular importance are the Master Deed and the Bylaws. Through the Master Deed, each individual unit owner becomes a member of the condominium. Attached to the Master Deed are the Bylaws, which establish a “condominium association.” One way of thinking of these two documents is that the Master Deed creates the “condominium” while the Bylaws detail the rules and governance for the “condominium association.” This association is responsible for managing the common affairs of the unit owners in the condominium and maintenance and repair of certain common elements. When purchasing a condo, you may need to request these documents (and others) from the seller (or the condo association) and you need to review them before making your purchase to learn about the rules governing the condo. This request and review process is important because the Master Deed or Bylaws, which may contain separate rules and regulations, may contain restrictions that are not favorable to you or your intended use of the property. Say, for example, you want to rent your condo to a long-term tenant, or to a short-term tenant, like an Airbnb guest. The condominium’s Master Deed, may contain a restriction preventing these uses. In addition, the Master Deed may have pet restrictions where a condo may permit unit owners to keep a dog or cat in their unit, but will place a “weight restriction” on such pets (e.g., no dogs over 30 pounds). This restriction could be a deal breaker and, if you haven’t reviewed the Master Deed prior to your purchase, you may not be aware of the restriction until it’s too late. Finally, and perhaps most important to note, the condo board is responsible for collecting association fees. These association fees are assessed monthly on the owners of condominiums to cover certain costs. These fees can be minimal or extend into thousands of dollars. You must take the monthly association fee into account when determining your purchasing power. How much are the monthly condominium association fees? What purposes are the fees used for (e.g., amenities)? Does the association expect added assessments or the fees to increase for any reason? What are the current reserves of the association? 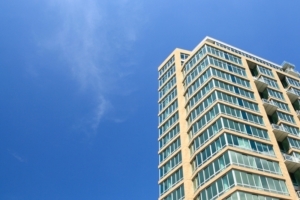 What insurance does the condominium carry? Matt is an associate attorney in our Montvale, New Jersey office and can be reached at 201-802-9202 or mnicodemo@www.mfmclaw.com regarding your condominium or community association questions. See N.J.S.A. § 46:8B-8; see also N.J.S.A. § 46:8B-3.